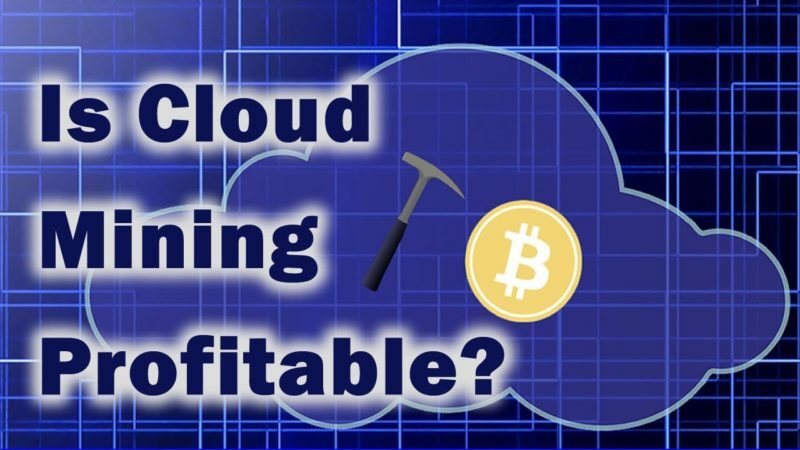 Is Cloud Mining Profitable in 2019? Cloud Mining is a way to mine Bitcoin (or other cryptocurrencies) without the need purchase/own specialized computer hardware. In a sense, you are renting space on someone else’s hardware, by buying shares of “hashpower”. And, you profit along with the owner of the hardware. This means that all you need is a Bitcoin wallet, and you are ready to contract someone who offers Cloud Mining Services. But, is it profitable? 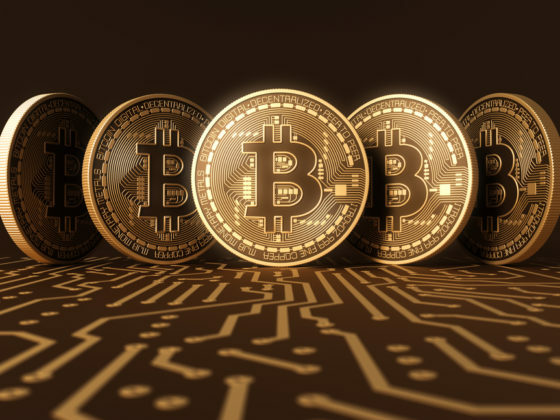 Well, the main advantage of this approach is that you don’t need in-depth knowledge of mining hardware, nor the expertise to operate/maintain the mining operation (the equipment is expensive, and sometimes hard to obtain). Also, cloud mining providers optimize everything, so that yields are higher. Cloud mining operations can involve millions of dollars. This enables mining companies to negotiate better energy and hardware prices. If you want to know a more precise estimate of profitability, then a mining profit calculator will be helpful. Is Bitcoin Cloud Mining Profitable? Getting started with mining is relatively simple, especially if you already have a desktop PC with a graphics card. Building a mining rig is the main cost, as these can cost thousands of dollars. The next biggest cost is electricity. However, this shouldn’t be an issue unless you are using inefficient graphics cards (cards with a low hash rate and high power draw) and live in a country with high electricity rates. Here you can input how many watts your computer uses, and the website will tell you how many kWh you use per month. Though most mining calculators include this calculation for you, it can be very useful to find the exact amount you will be spending on power. You can use this formula for working out monthly profit: M – W = P.
M is the value of the amount of coins you mine per day, this can be found through sites like Coingecko where it will tell you how much your crypto is worth. W is the amount you will be spending on kWh every month. This will then give you P which is your monthly profit. To find your real profit however, you first need to pay off the cost of your mining rig. To find out how long this will take, you must use this formula: C / P = D, where C is the cost of your mining computer, P is the same as before (monthly profit), and D is the time it will take to pay back for your computer, either in months, weeks or days. This depends on what you use in the first calculation. After you pay off the rig, every cent you make will go towards your total profit. Technically, during mining, the Bitcoin mining software runs two rounds of SHA-256 cryptographic hashing function on the block header. The software uses different numbers called the nonce as the random element of the block header for each new hash that is tried. Depending on the nonce and what else is in the block, the hashing function will yield a hash of a 64-bit hexadecimal number. To create a valid block, the software has to find a hash that is below the difficulty target. If the number is greater than 1 (i.e. blocks were mined quicker than expected), the difficulty increases. If the number is less than 1 (i.e. blocks were mined slower than expected) the difficulty decreases. Every miner on the Bitcoin network now works with this new difficulty for the next 2016 blocks. At most, the difficulty will only adjust by a factor of 4, to prevent abrupt changes from one difficulty to the next. The mining difficulty expresses how much harder the current block is to generate compared to the first block. So, a difficulty of 20160 means to generate the current block you have to do 20160 times more work than the work done in generating the first block. There are several websites that provide profitability calculators. You can input parameters such as equipment cost, hash rate, power consumption, and the current Bitcoin (or other digital currency) price, to see how long it will take to pay back your investment. The My Crypto Buddy calculator provides an option to include difficulty into the calculations. This means that it decreases your profit each month depending on how the network’s difficulty will go up or down, based on the site’s estimate. For example, if the difficulty goes up by 100 GH/s in one month, the calculator will then assume that every following month will incur a difficulty increase of the same amount. This leads to a problem. If in one month the network receives an abnormal difficulty bump, whether due to a price increase of the currency leading other miners to join the network, or if AMD or NVidia release a new graphics card with a high hash rate boost, the MCB calculator will then use that abnormal value as the absolute value for every month, making the calculator unreliable. Still, it is useful to know that your income will decrease every month due to difficulty. This calculator also includes the mining pool fee. The Coin Warz calculator is a bit more complicated than the rest, but it comes with some unique features, such as allowing you to input your hardware cost. The calculator will then use this information to estimate how long it will take you to pay off your computer. Another unique feature is that it if you’re solo mining, it will tell you how long it may take to mine a block by using your hash rate. A third useful feature is that it shows you how much you can trade your mined coins for in Bitcoin, which is useful if you think Bitcoin is only going to go up in price. You can use this calculator for about 100 different coins, which makes it quite useful when trying to figure out your other mining options. It is one of the simplest calculators to use. You just choose the currency you would like to mine and input your hash rate along with the wattage of your system and power cost. The website will show you what your profits are every day, along with the amount of the currency you will mine. The main problem with this site is that it does not factor in the network’s difficulty. Everyday new miners join the network, which in turn increases the difficulty. That means that if you are solo mining, you will have a lower chance of solving the block, and if you’re pool mining, this will lead to lower rewards. The What To Mine is one of the most useful calculators. You simply fill in your graphics cards models and the site will calculate the power draw, hash rate, and the most profitable coin for your set-up. The site will even show you the best exchange to sell your coins on. Additionally, the site will also apply a reasonable overclock to the cards, making your results even more accurate. When mining, overclocking is extremely useful, so think of this as “free performance.” The only downside to this site is that it only has information on 11 different GPUs and no CPUs. Also, it doesn’t factor in your pool fees. 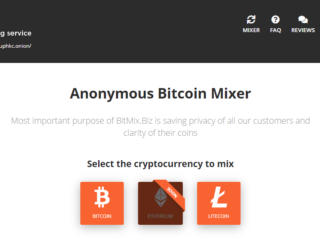 This site is still extremely useful for finding the most profitable coin to mine, making it one of the most popular calculators. Ethereum cloud mining is not as big as Bitcoin, but there are still a bunch of cloud services that can offer profitable plans. Check Hashflare, GenesisMining, Minex, Eobot or even Amazon cloud servers. There are limited options for Litecoin contracts. 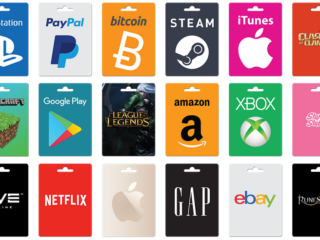 If nothing on the list below meets your needs, you can buy Bitcoin contracts and simply convert the BTC you earn to Litecoin. The list of services that provide Litecoin contracts: Hashflare, GenesisMining, Minex, Minergate, Eobot. The Dash cloud mining situation is pretty similar to that of Litecoins. It’s not that widespread and there few services that would offer you attractive contracts. GenesisMining is the largest provider that offers three Dash (X11) plans that are reasonably priced. Mining difficulty has increased immensely, and today it is almost impossible to mine Bitcoin profitably at home with your own hardware. The only exception is if you have very low electricity costs and manage to mine efficiently for at least 6 months without any major changes in this competitive landscape. As specified by the Bitcoin protocol, each miner is rewarded for each block mined. Currently, that reward is 12.5 new Bitcoins per single mined block. 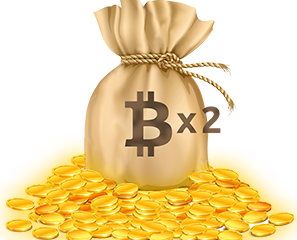 The Bitcoin block reward will halve every 210,000 blocks when the coin reward decreases from 12.5 to 6.25 coins. Currently, the total number of Bitcoins left to be mined amounts to 4,293,388. This means that 16,706,613 Bitcoins are in circulation, and that the total number of blocks available until the mining reward is halved is 133,471 blocks till 11:58:04 June 12, 2020, when the reward will be halved. 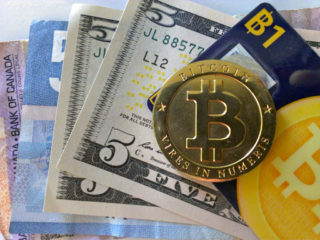 Bitcoin contracts are usually sold for Bitcoins on a per hash basis for a particular period of time. 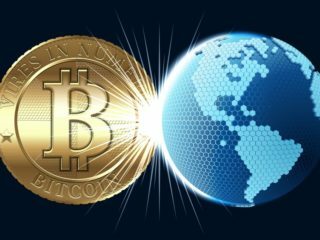 There are several factors that impact Bitcoin contract profitability, the primary factor being the Bitcoin price. For example, pay per GHash/s would be 0.0012 BTC / GHs for a 24-month contract. Contracts vary from hourly to long-term. The major factor that is unknown to both parties is the Bitcoin network difficulty, and it drastically determines the profitability of the bitcoin cloud hashing contracts. Also, don’t forget that there have been a tremendous amount of scams. So as a potential buyer, you should be extremely guarded and careful before purchasing any contracts. The price range of cloud mining is quite broad. Prices of most Bitcoin contracts are around $150. However, you should also compare the contract length and the service fee. While some providers charge for bigger contracts just like smaller contracts, there are providers that offer better unit prices in cases where more hashing power is purchased. You are also required to pay an upfront fee, which is usually for the hardware equipment. Then there’s the maintenance fee, which you have to pay so that the cloud mining provider can run the equipment for you. There are providers who include electricity in the maintenance fee, and there are those that itemize electricity. Current maintenance fees for GenesisMining is 0.00028 USD per GH/s per day. Hashflare charges 0.00035 USD per GH/s per day. You should note that a higher price doesn’t necessarily equate to a better service. Therefore, it’s important to thoroughly assess the services provided, not just the prices. Many of these companies either source their own equipment or build it cheaply and have their data centers in countries like Iceland and China where electricity is cheap, passing the savings on to you. It’s definitely one of the most well-known companies when it comes to cloud mining. Since it is one of the oldest (it dates back to 2013) and largest cloud mining centers, there seems to be no better place to begin with than Genesis. Mining contracts are technically available for all major cryptocurrencies, and you can visit your online dashboard at any time to reallocate your purchased ‘hash power’ (so, for example, you could go 60% Bitcoin and 40% Litecoin). 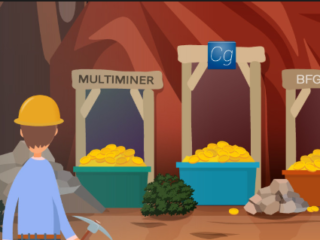 GenesisMining, according to their website, is an easy and safe way to purchase hash power without having to deal with the complex hardware and software set up. The company specializes in building the most efficient and reliable mining rigs that they offer to their clients for rent. All you need to do is set up an account with them to start mining. After signing up, fund your account via Bitcoin, PayPal, credit card, or wire transfer, and then choose the plan that’s best for you. Note that this does not mean GenesisMining is profitable, but rather that GenesisMining honestly provides the services it offers. Hashflare is a subsidiary of Hashcoins, another manufacturer of Bitcoin mining equipment which has been around since 2013. The company is owned by a team of crypto professionals who are focused on developing cryptographic hardware and creating solutions related to blockchain technology. These innovations are funded by the company’s own capital and investors’ funds. Hashflare offers you a chance to purchase hashpower for a variety of SHA-256 and Scrypt coins, such as Bitcoin and Litecoin as well as Ethereum and ZCash. You’re also free to choose your own pool. Hashflare is open about its maintenance fees: they are $0.0035 for every 10 GH/s of SHA-256 coins and $0.005 for every 1 MH/s of Scrypt coins a day. Ethereum contracts are not subject to any maintenance fees. Your total payout will depend on the pool you’ve chosen and how much hash power you’ve allocated to it. It’s remarkable to have USD 0.03/GH/month maintenance fee, which may be accounted for by a lower electricity cost in Estonia and thus, it’s the next best thing after the no-fee maintenance. IQ mining was founded at the end of 2016 by a team of experts in blockchain programming and IT engineers. It is a smart service developed for affordable cryptocurrency mining, designed to provide frequent payouts within the shortest possible time frame. The calculator on the official IQ Mining website claims users can expect to earn an average daily payout of $100 in exchange for an investment of just $500. And, the more you invest, the more money you can earn. If you invest $2,500, for example, then you can earn $500 per day. IQ Mining describes its system as “smart” or “bitcoin mining 2.0”. They claim that their system leads to lower costs “thanks to smart contracts with data centers and high efficiency, due to automated altcoin mining switching”. IQ Mining has three different investment packages available, including Bronze, Silver, and Gold. If you buy the Silver package, you’ll get a 10% bonus added to your payouts. If you buy the Gold package, you’ll get a 20% bonus. Investments between 0.01 BTC and 0.1 BTC will get you the Bronze package. Investments between 0.1 BTC and 1 BTC are for the Silver package. And investments between 1 BTC and 10 BTC are for the Gold package. Eobot was registered in California in 2013. Its owners have decided to remain anonymous, so there are no photos or office addresses on the main website. Eobot offers contracts either for 24 hours or five years. The website is neatly laid out and also offers a fee estimator that allows you to calculate daily profits in exchange for the hashpower you purchase. Its main page makes it clear that most investments will take around 52 months to break even. Eobot provides cloud mining facilities for SHA-256 and Scrypt algorithms which both follow the difficulty of bitcoin and Litecoin respectively. They offer cloud mining services for 21 different cryptocurrencies and users can choose their payout currency, too, from a list. The mining rigs consist of miners from the Antminer S series, currently they are mining on Antminer S7 and S9 machines. Maintenance fees are currently set at $0.00021/GH/s/day. Unlike other websites we’ve reviewed, Eobot also offers an easy to understand explanation of how maintenance fees work. Contracts are available for a wide range of cryptocurrencies. Take note that direct deposit of funds by bank transfer isn’t supported. You can, however, buy contracts with Bitcoin and via a USD credit card using Epay. Bitcoin Cloud Mining is a way to mine Bitcoin without owning hardware. Still, you need to decide which kind of cloud mining fits your needs best – Hosted or Bought – for which you should calculate how much you are willing to invest and how quickly you want the Return on Investment (ROI) to be. This is where you should be careful, as the higher the ROI, the bigger the risk of getting scammed! 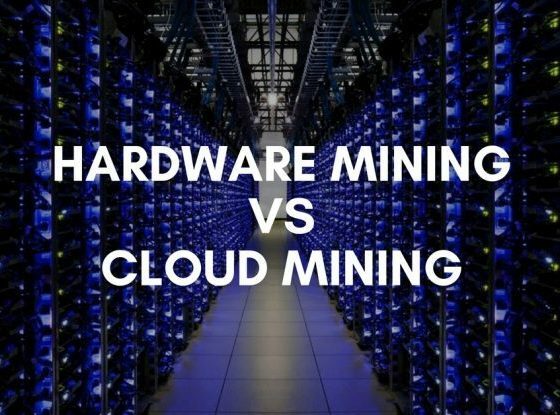 Cloud Mining vs Hardware Mining: Which Is Right for You? 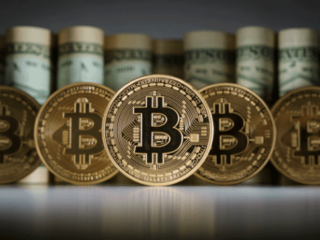 TOP 10 Millionaires from Bitcoin – Will You Become Number 11? 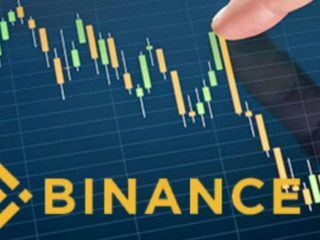 Does Binance Report to IRS? What is a Security Token Offering (STO Definition)? How Many Times Was Binance Hacked? Cryptalker is the perfect place to get all useful information about buying bitcoins and investing cryptocurrency.